NEW DELHI, NOVEMBER 22: The employability of engineering graduates continue to remain high as compared to other domains, while there is a decline in hiring of MBA candidates, states the ‘India Skills Report 2019’. 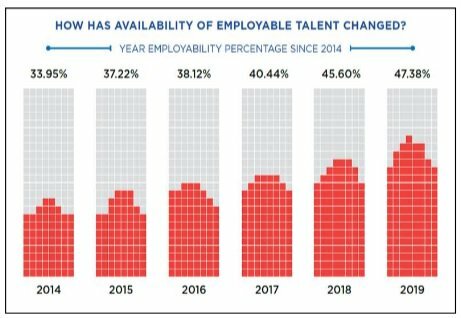 There is also good news across sectors as the employability continues to rise thus reaching a new high of 47% this year – an incremental change of almost 2-3 percentage points since last year and a huge change of over 15% points in the past five years. Andhra Pradesh tops the state with highest employability rate followed by Rajasthan and Haryana this year. As per the Report, there has been an increase in employable talent in tier 2 and tier 3 cities. This trend can be seen inspite of the lack of big institutions such as IITs/IIMs or any other renowned institutes in the tier 2 and 3 cities. 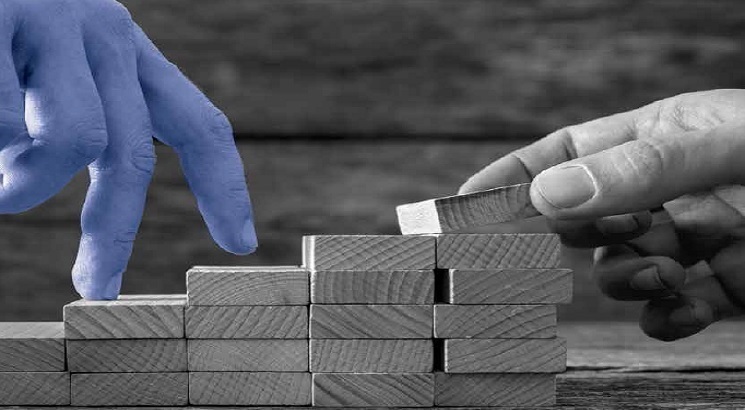 ‘India Skills Report’, a joint initiative of the All India Council for Technical Education (AICTE) and Association of Indian Universities (AIU) along with Wheebox, PeopleStrong and Confederation of Indian Industry (CII) states that the employability amongst MBA graduates has further dropped by 3 percentage points over last year. It seems that with the exponential increase in the number of MBA colleges the quality of talent is seen to be declining, which needs government attention. The employability of B.Pharma graduates has also declined by 12% since the previous year. Female employability has seen a positive change as compared to last year. It has increased to 46% this year, an eight percentage point change since the previous report. Male employability score has grown only by one percentage point and is now at 48%. The insights and trends are captured from the employability test spread out to 5200 Universities and professional institutions in India, reaching out to more than 3 lakh students across 29 states and 7 Union Territories. The key job areas which the companies would be hiring for are: Artificial Intelligence, Design, Analytics, Research and Development. Of which design jobs would be the most in demand (23% of employers plan to hire for design jobs). Apart from domain expertise, organizations prefer to hire candidates with better communication skills and those ready to learn and adapt to changing business environment. Almost 60% of recruiters feel that the right quality candidate is not available. As per the survey, 63% of respondents feel that only “Some job seekers” or “No” job seekers meet the required skills.